After the failed car bomb attack in New York City’s Times Square, the Pakistani Taliban have suddenly risen to the top of the list of concerns for Western intelligence and law enforcement officials. The Pakistan Taliban’s claim for the failed attack was initially ignored, but the resulting investigation has pointed back to the group’s involvement. This has forced US officials to admit that the Pakistani group is more than just a local insurgent outfit aiming at overthrowing the Pakistani government. Although the Pakistani Taliban has only recently been recognized as a threat to the US homeland, the group has for years conducted operations in Pakistan and Afghanistan and sheltered al Qaeda and a host of regional and international terror groups. Al Qaeda’s external operations network has been based in territory ruled by the Pakistani Taliban, yet strangely, most Western observers have not seen the Pakistani Taliban as a direct threat. The largest Taliban faction in Pakistan is known as the Tehreek-i-Taliban Pakistan, or the Movement of the Taliban in Pakistan. This is an alliance of 28 Taliban groups located in Pakistan’s tribal areas and the province of Khyber Pakhtunkhwa (formerly known as the Northwest frontier Province). There are also several other major Taliban groups, mainly in North Waziristan, that are not members of the Movement of the Taliban in Pakistan but that have remained closely allied with the group. There are also two other Tehreek-i-Taliban factions, which are not discussed here: the Movement of the Taliban in Punjab, and the Movement of the Taliban in Baluchistan. The Movement of the Taliban in Punjab is made up largely of members of the myriad Pakistani jihadi groups, such as the Lashkar-e-Taiba, Lashkar-e-Jhangvi, Jaish-e-Mohammed, Harkat-ul-Jihad-i-Islami, and Harakat-ul-Mujahideen. The Movement of the Taliban in Baluchistan is a shadowy organization of which little is known. The group maintains a strong presence in the areas of Baluchistan province bordering Afghanistan, and supports operations against Afghan and Coalition forces. Hakeemullah and Waliur Rehman Mehsud. 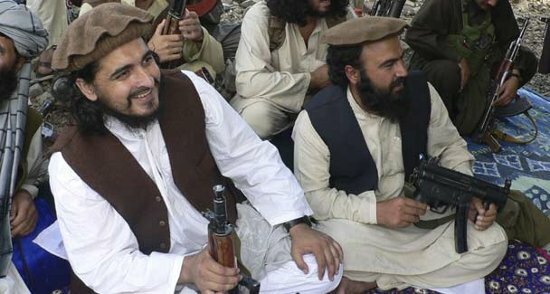 • Hakeemullah Mehsud is the emir, or leader, of the Movement of the Taliban in Pakistan. He was appointed emir after his predecessor, Baitullah Mehsud, was killed in a US airstrike in August 2009. Prior to leading the Pakistani Taliban movement, Hakeemullah led forces in Arakzai, Khyber, and Peshawar. He is considered an able military commander. He was responsible for the series of raids against US military supply convoys moving through Peshawar in 2007 and 2008. The raids forced the Khyber Pass to be shut down six times between the summer of 2007 and the spring of 2008. Hakeemullah is close to al Qaeda and the Afghan Taliban, as well as to the constellation of Pakistani jihadist groups such as the Lashkar-e-Taiba, Lashkar-e-Jhangvi, and Jaish-e-Mohammed. • Qari Hussain Mehsud is Hakeemullah Mehsud’s deputy. He is considered the master trainer of suicide bombers and an expert bomb maker. He ran suicide training camps for children in Spinkai in South Waziristan. The military destroyed one of these camps during a brief operation in January 2008, but Qari reopened the camp months later. He is considered a candidate to take over the Pakistani Taliban in the event of Hakeemullah’s death. • Azam Tariq is the top spokesman for the Movement of the Taliban in Pakistan. He was appointed as Hakeemullah’s spokesman in August 2009 after Baitullah Mehsud was killed in a US airstrike in South Waziristan. Tariq appeared on a Taliban tape in May 2010 threatening further attacks on the US. • Hafiz Gul Bahadar is the senior Taliban leader in North Waziristan and one of the most prominent commanders in Pakistan. He is not aligned with the Movement of the Taliban in Pakistan but does maintain close ties to the group. He is a direct descendant of Mirza Ali Khan, the tribal leader who fought the British and the Indians in the early 20th century. Bahadar chairs the North Waziristan Shura, or executive council. His forces defeated the Pakistani Army in 2006 and 2007; nonetheless, Bahadar is considered by the Pakistani establishment a “pro-government Taliban” leader. Al Qaeda and allied Pakistani and Central Asian jihadi groups shelter in Bahadar’s tribal areas, and run training camps and safe houses in the region. • Siraj Haqqani is the military commander of the Haqqani Network, a powerful and deadly faction of the Afghan Taliban. Siraj is a member of al Qaeda’s Shura Majlis, or top council, and he also leads the Afghan Taliban’s Quetta Regional Military Shura, one of four military commands for Afghanistan. Siraj is essentially the top Taliban leader in all of Pakistan. He works carefully to shield his influence from the media, however, and portrays himself as a regional commander in the Afghan Taliban. 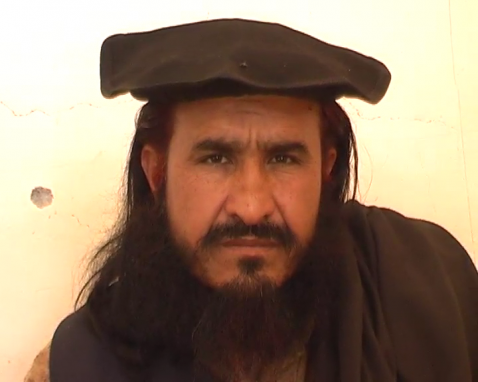 • Sadiq Noor is a top Taliban commander in the Mir Ali region. Noor is not a member of the Movement of the Taliban in Pakistan. Noor is closely allied with al Qaeda, particularly Abu Kasha al Iraqi, and the Uzbek factions (the Islamic Jihad Union and the Islamic Movement of Uzbekistan). • Waliur Rehman Mehsud is the leader of the Movement of the Taliban in Pakistan in the Mehsud areas of South Waziristan. He is considered a possible successor to Hakeemullah. • Mullah Nazir is a Taliban leader in the Waziri areas of South Waziristan. Nazir is not a member of the Movement of the Taliban in Pakistan; he is closely allied to Mullah Bahadar. Pakistan’s military and intelligence services consider Nazir and his followers “good Taliban” as they do not openly seek the overthrow of the Pakistani state. However, Nazir openly supports Mullah Omar and Osama bin Laden, and wages jihad in Afghanistan. More senior al Qaeda leaders have been killed in Nazir’s tribal areas during the US air campaign than in those of any other Taliban leader in Pakistan. • Omar Khalid is the leader of the Movement of the Taliban in Pakistan in Mohmand. Khalid is considered one of the most effective and powerful leaders in the tribal areas. Khalid gained prominence in Mohmand during the summer of 2007 after taking over a famous shrine and renaming it the Red Mosque, after the radical mosque in Islamabad whose followers had attempted to impose sharia in the capital. 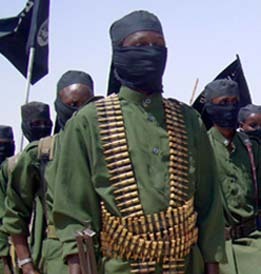 In July 2008, Khalid became the dominant Taliban commander in Mohmand after defeating the Shah Sahib group, a rival pro-Taliban terror group with ties to the Lashkar-e-Taiba. • Qari Shakeel is a top lieutenant to Omar Khalid in the Mohmand tribal agency. 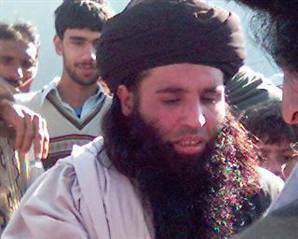 • Faqir Mohammed is the leader of the Movement of the Taliban in Pakistan in Bajaur and serves as Hakeemullah’s second in command. His forces defeated the Pakistani Army in Bajaur in two offensives in 2008 and fought the military to a stalemate in 2009 and 2010. 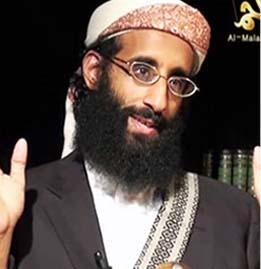 He is a close ally to Ayman al Zawahiri. Bajaur serves as an al Qaeda command and control center for operations in northeastern Afghanistan. • Qari Zia Rahman is a Taliban and al Qaeda leader who operates in Pakistan’s Bajaur tribal agency as well as in Afghanistan’s Nuristan and Kunar provinces. He is closely allied with Faqir Mohammed and Osama bin Laden. 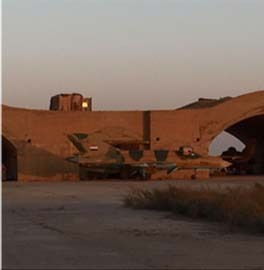 Rahman’s fighters are from Chechnya, Uzbekistan, Turkmenistan, Afghanistan, and various Arab nations. He commands a brigade in al Qaeda’s paramilitary Shadow Army, or the Lashkar al Zil, US intelligence officials have told The Long War Journal. 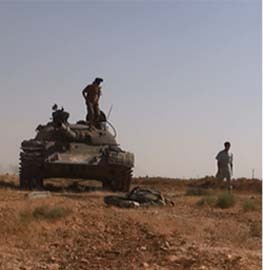 • Waliur Rahman is a deputy military commander to Faqir Mohammed. He leads a Taliban sub-group called the Jaish-i-Islami Pakistan, or the Army of Islam in Pakistan. He has led negotiations between the Taliban and the tribes. • Maulana Mohammad Jamal is a powerful commander who reportedly replaced Faqir as the leader of the Bajaur Taliban after Faqir did not oppose a military advance into Bajaur. Jamal was said to have been chosen by the Bajaur Taliban shura, and a commander known as Burhanuddin was chosen as his deputy. The report is unconfirmed, however, and all indications are that Faqir still leads the Bajaur Taliban. • Maulvi Noor Jamal is the leader of the Movement of the Taliban in Pakistan in Kurram. Jamal, who is also known as Maulvi Toofan, is considered a ruthless and bloodthirsty commander. He is at the forefront of the sectarian war against the Shia population in Kurram. In early 2010, Jamal denied rumors that he had taken control of the Pakistani Taliban after Hakeemullah Mehsud was reported killed in late January 2010. In fact, Toofan claimed Hakeemullah was still alive. • Fazal Saeed Utezai is a deputy to Hakeemullah and leads Taliban fighters in the Kurram tribal agency. His forces have been behind some of the worst sectarian violence against the Shia tribes. • Akhunzada Aslam Farooqui is the leader of the Movement of the Taliban in Pakistan in the Arakzai tribal agency. Farooqui took control of the Taliban after Hakeemullah Mehsud was promoted to lead the entire Taliban movement in Pakistan’s tribal areas and in the northwest. Farooqui was described as the “patron-in-chief” of the Taliban in Arakzai and a “close friend of Mullah Mohammad Omar” back in 2001. At the opening of Operation Enduring Freedom, Farooqui promised to have 12,000 tribesmen to battle US forces in Afghanistan and offered support such as sanctuary and weapons and ammunition. He claimed to lead 7,000 Taliban fighters. • Mufti Ilyas commands Taliban forces in Darra Adam Khel and is a deputy to Hakeemullah Mehsud. 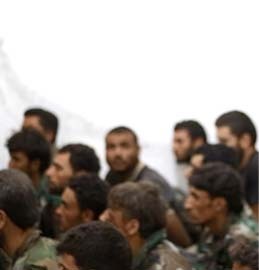 He formed a group that is assigned to assassinate Shia leaders. • Commander Tariq Afridi is the leader of the Movement of the Taliban in Pakistan in Khyber, as well as in regions in Peshawar, Kohat, and Hangu. Afridi was named the terror group’s commander of Khyber in November 2009. Afridi is also the leader of the Commander Tariq Afridi Group. This Taliban outfit is considered the most powerful terror group in Arakzai, and is based in Darra Adam Khel. The Tariq Afridi Group also conducts attacks on Pakistani security forces in Arakzai, Kohat, and Hangu. His fighters were responsible for closing down the Kohat Tunnel twice in 2008. In early 2009, the Commander Tariq Afridi Group claimed the murder and beheading of Polish geologist Piotr Stanczak. In early 2010, operating under the guise of an outfit named the “Asian Tigers,” the group was responsible for the kidnapping and murder of former ISI officer and jihadist sympathizer Khalid Khawaja. • Mullah Fazlullah is the leader of the Movement of the Taliban in Pakistan in Swat. His father-in-law is Sufi Mohammed, the leader of the radical TNSM, or the Movement for the Enforcement of Mohammed’s Law. Fazlullah led the Taliban takeover of Swat in 2007 and fought the Pakistani Army to a standstill in 2007, 2008, and 2009, when he forced the government into a humiliating peace agreement that essentially ceded much of northwestern Pakistan to the Taliban. 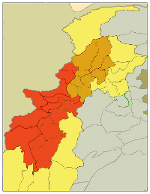 Fazlullah overreached in early 2009 when his forces advanced into the district of Buner, just 60 miles from Islamabad, and threatened neighboring districts. The military launched a major offensive and ousted Fazlullah’s forces, but the Taliban have since returned and waged a low-level insurgency. • Ibin Amin is Fazlullah’s military commander and the leader of the Tora Bora Brigade, a unit in al Qaeda’s paramilitary Shadow Army. He led the invasion of Buner. 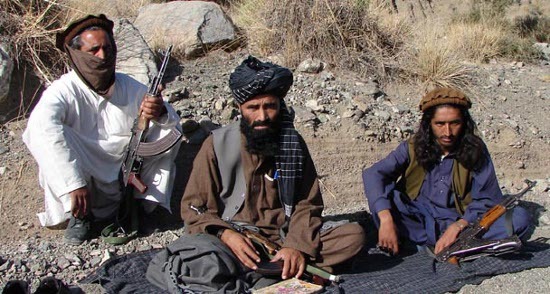 • Moman Khan is the leader of the Movement of the Taliban in Pakistan in Mansehra. Khan previously claimed to have been commander of the Lashkar-i-Jhangvi, an anti-Shia terror group that has been co-opted by al Qaeda and has conducted numerous attacks inside Pakistan, but he has since said he no longer works with the group. Khan is said to have been behind recent threats and attacks against nongovernmental organizations in neighboring Abbottabad. During the spring of 2009, the Taliban entered Mansehra in force, establishing a base and a training camp there in April of that year. The move took place while the Pakistani military was launching an offensive in the Swat Valley to depose the Taliban led by Mullah Fazlullah. The military and police did not attempt to stop the Taliban’s move into Mansehra. Yet another outstanding piece of work. Adds much clarity to the organizational structure of the Pakistani Taliban as did your piece on the Afghan Taliban. Bill you may want to link your Pakistani Taliban map to that summary. When you look at that expanse of ‘terroritories’, it really does hit you between the eyes. That latter report dragging in India, as they do compulsively, is a reminder of the chip-on-their-shoulder that is Pakistan. Thats fine, but their other shoulder has more than a chip, its broke, but it amazes me how extraordinarily unaware they are. Is the Pakistan experiment over? Though not on Bill’s list, this Taliban leader (it appears from the Punjab area) turned himself in today. I wonder why? A self-claimed Ameer of Tahreek-e-Taliban Saraiki Hanif Gabol alias Maviya has handed over himself to Mianwali police, Geo News reported on Monday. Just watched mehsud’s video about claiming credit for the terrible and horrific and “failed” NYC bombing. How gracious of him to dedicate a failed attempt to his fallen compatriates. I tell ya with friends like that guy. Bill great work as usual, your work is better than most intel briefs I have attended. A great “Wanted Dead” list! One common theme is that these different commanders have whupped the Pakistani army again and again. Add to this the many defeats at the hands of the Indian army and you have an army that rivals the French in recent times. It appears that this “army” excels only against unarmed civilians; as in Baluchistan and earlier in East Pakistan/Bangladesh. they remain unproven as a formidable force (the impression given) in either a full-on war or a cohesive medium to long term series of COIN operations. I find it laughable that they are busy playing and displaying war games when they are already supposed to be in the middle of a major war (that the globe is invested in), or as they claim, not supposed to have enough resources to tackle what Obama has supposedly chalked out with them. If they are that brilliant why is this their year of training? If they are that brilliant why does Kayani feel the need to keep trumpeting that his Army is equal to any challenge? Fact is that the Pak terror machine and the Pak Army’s charade is a pyramid scheme to milk the US Govt and the American tax-payers (they don’t have many indigenous tax-payers as you know). Americans should be asking themselves what bang are they getting for their buck? In a months time the final countdown of withdrawing US troops begins, 10 years into the war. The Pak side of Af-Pak hasn’t even begun. Am i missing something? I’d love to open Obama’s Oval office desk drawer and see what he’s thinking! Are they the ones who are responsible for everydeath of US soldier in Afga? Now what? We ask for autographs and start fan clubs? I don’t see why such glowing language is required. Whatever their achievements, they ARE criminals. Or have we changed our minds about that? 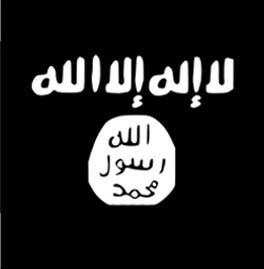 Could you create a document with the faces of Taliban/Queda leaders and put an ‘x’ through the ones we have killed? Would like to see that please.